As softball and baseball sign-ups are starting all over the country for our young athletes, I am concerned about this new trend to only play one sport and play it almost all year round. As a physical therapist and the mother of college baseball players, I have seen it all, such as repetitive throwing injuries that occur very early in an athlete’s career and would only be considered bothersome, but later, if not tended to, can develop into a debilitating injury that may need surgery. I also classify tennis, volleyball and football players in this “over head athlete” category. They too need scapular strength to stay healthy and be more successful athletes. What is the scapula and what does it do? The scapula is the boney shoulder blade and contains the shallow socket of the main shoulder joint called the glenohumeral joint. The shoulder girdle is very complex, with 4 joints or areas of movement. These 4 joints are all needed to work together to create a fluid, effective and pain free movement with a pitch, a serve, a spike or a quarterback’s pass. The glenohumeral joint is a ball & socket joint and is one of the most unstable joints in the body which allows incredible amounts of movement. There is also the scapulothoracic joint, the sternoclavicular joint and the acromioclavicular joint. The acromioclavicular joint or AC joint can be injured from a hard fall like in football or soccer causing a “separated shoulder,” which is an injury to the collar bone as it attaches to the top portion of the scapula called the acromion. Interestingly, just having good, upright or erect posture can improve the biomechanics of the scapula and therefore, prevent repetitive or over use injuries of the shoulder girdle. What shoulder and scapular muscles are in and around the scapula? Many shoulder muscles attach to and around the scapula with the most famous being the Rotator Cuff. The rotator cuff is actually 4 separate muscles: Supraspinatous, Infraspinatous, Teres Minor and Subscapularis. The most common rotator cuff tear is in the smaller, superior suprapinatous muscle. Rotator cuff tears are rarely seen in children and teenagers. Throwing athletes can experience tendinitis or over-use pain of the rotator cuff muscles which can lead to a true rotator cuff tear, degenerative changes such as arthritis and pain as adults. The Labrum is the cartilage liner of the socket and labrum tears are on the rise as our athletes get stronger, heavier and more aggressive especially with contact sports. Athletes are stronger because they squat, bench and perform more traditional exercise like bicep curls. Yet, they typically do not strengthen these important scapular muscles. One of the largest scapular stabilizer muscle is the Trapezius located on the back of the shoulder and encompasses a large area extending from the neck to the lower third of the back and outward toward the back of each shoulder, in the shape of a kite or a trapezoid. Underneath the trapezius are the Rhomboid muscle and around the rib cage and close to the arm pit is the Serratus Anterior muscle. Why does an over head athlete need strong scapular muscles? Now to the point, the weakness in 2 of the rotator cuff muscles, called the external rotators in the back of the shoulder (muscles used when you perform a backhand motion in tennis) plus weakness in the scapular muscles: trapezius, rhomboids and serratus anterior muscles can all cause pain and injury to the glenohumeral joint with repetitive throwing and overhead motion. If these muscles are not strong enough, the mechanical stress increases on the labrum, the biceps, triceps, supraspinatous even into the elbow joint. If you notice that your young athlete’s shoulder blades stick out or “wings” this is a good indicator that their scapular strength is decreased. This is called scapular winging and a PT will know how to strengthen the scapular muscles to decrease stress on the glenohumeral joint and elbow joint. Interestingly, the serratus anterior muscle acts as a brake when an athlete throws over head to safely decelerate the entire arm. This is a muscle group is practically unknown to many of the layman who are coaching and working with young athletes. Basic arm care and preventive strengthening is vital to keep your young athlete healthy and prevent labrum, rotator cuff and ligamentous injuries. Lastly, postural re-education is also needed now in growing teenagers especially with the amount of screen time teens are logging on their phones, computers and other personal devices. Forward head positioning, rounded shoulders, and slouching in the upper back need to be addressed but especially in the overhead athlete. 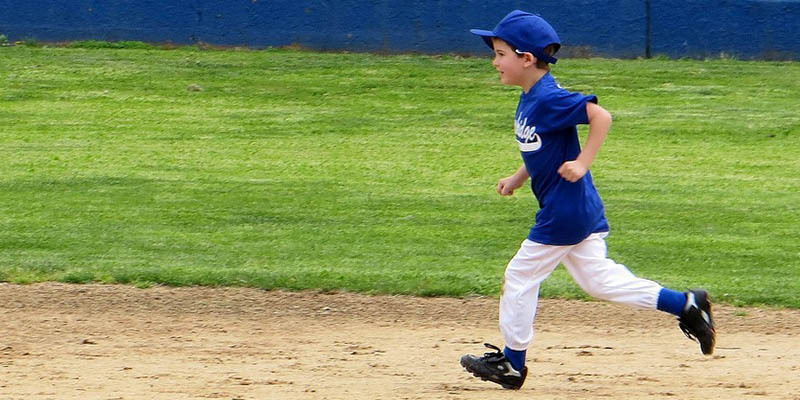 If you have concerns about your young athlete’s scapular strength, poor posture and/or just want to get an effective home exercise program to assist with improving your athletes strength and velocity, contact your pediatrician for a Physical Therapy Consultation/Evaluation at West Texas Rehabilitation Center.